The science-led global healthcare company GSK launches Medzy, a UAE-focused chatbot, to help patients use antibiotics more responsibly. This is in response to results of research commissioned by GSK, which revealed significant gaps in antibiotic awareness and best practice amongst patients in the UAE, which could contribute to the growing threat of antimicrobial resistance (AMR). 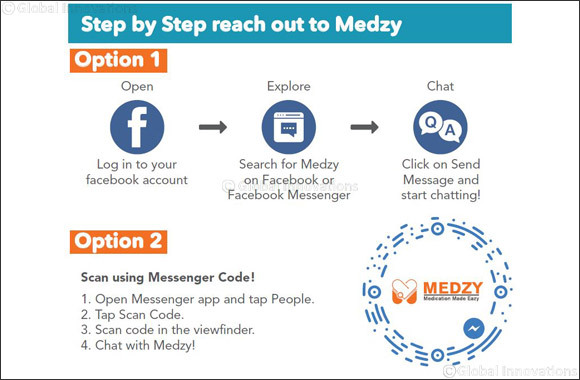 In response to these gaps, GSK has developed Medzy, an interactive UAE-centric patient engagement chatbot, implemented through Facebook Messenger. Medzy, which is an abbreviation of “medication made easy”, was brought to life through close collaboration and testing with UAE patients, doctors and pharmacists, whose challenges and needs have played a role in shaping the technology. • A way for users to report any side effects. Antibiotics are viewed as one of the greatest discoveries in human history, as they kill and prevent the growth of bacteria, helping clear infections in patients. However, their misuse is accelerating the process of AMR, wherein certain bacteria are becoming resistant to antibiotics, resulting in bacterial infections that are difficult to treat. According to the World Health Organisation, AMR represents one of the biggest current threats to global health and development . Medzy is currently available in English and will be launched in Arabic in the near future.